I've been wanting to use Organic Outlines for a while now, but I've been preoccupied with Christmas Workshops. As soon as I saw the colour combination for this challenge, I thought of this set. The photo doesn't do the card justice though! Hope you like it! 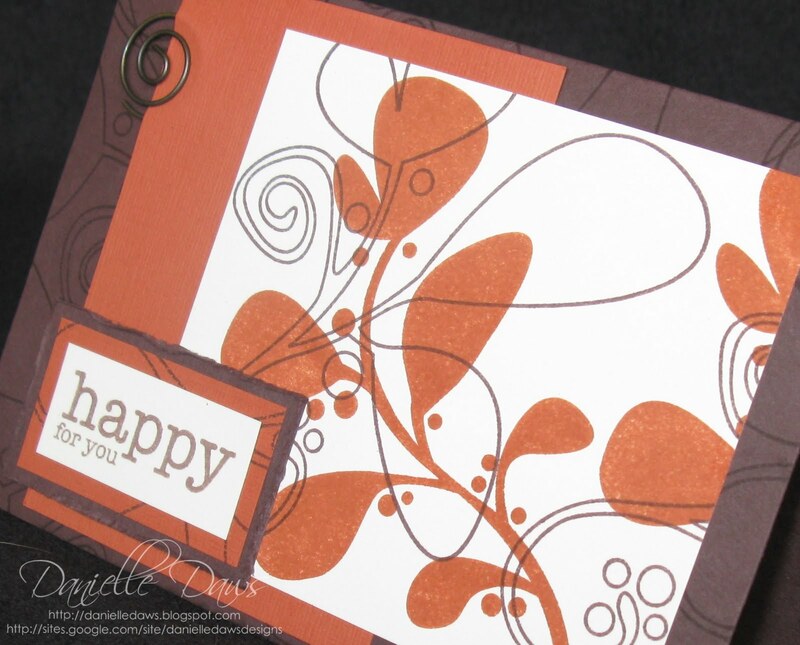 Click HERE to have a look at my Stampin' Up! website. Love the card Danielle. 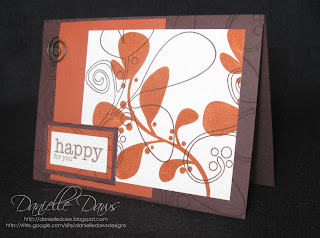 Really like the colours but then as you know I favour browns and red. WOW! I havent really been tempted by this stamp set - but you've sold me!!! Your card looks so impressive!!! LOVE this, Danielle! Striking. I am a big fan of Organic Outlines, but hadn't thought to use these colours; thanks for the inspiration. Well done Danielle. Find of the day two weeks in a row! What are you going to do next week? Love it, Danielle! Just beautiful - I love how you've balanced the colours! I love how this turned out! Great stamps and they look fab in those colors.